Getta-Gripp is a beeswax based product that is hydrophobic in nature, which means it is naturally repellant to water. 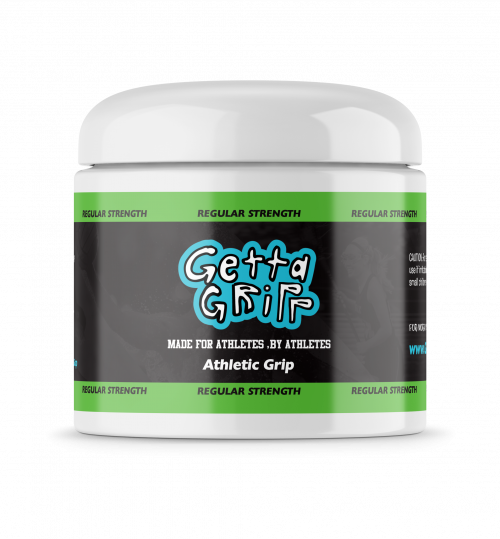 The ultimate goal of Getta-Gripp is to allow athletes an easy way to maximize their grip in any and every condition with any equipment. Our Regular Strength is recommended for use in sports where grip is essential to sporting equipment. Examples: Golf, Tennis, Baseball, Softball, Crossfit, Weight Lifting, Pole Vaulting, Lacrosse, Basketball, Bowling, Water polo, Wrestling and much more.